and discover how easy it is to find your dream home. The Colony 55+ Senior Community Homes for Sale, Murrieta CA: March 5, 2018. Looking for houses for sale in The Colony 55+ Senior Community? Then follow the link for details of The Colony 55+ Senior Community Homes for Sale. Follow the link to view The Colony 55+ Senior Community Home Price Trends! Data courtesy of the California Regional MLS (Multiple Listing Service). The information provided is deemed reliable, but is not guaranteed, and is for consumers’ personal, non-commercial use and may not be used for any purpose other than to identify prospective properties consumers may be interested in purchasing. 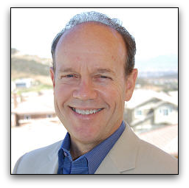 Serving the real estate needs of Southern California home buyers and home sellers. Post © 2019 Bill Burchard, Broker, Realtor, Representing Buyers and Sellers (3B Realty: 951-347-3818, CA). Design © 2019 ActiveRain, Inc. All rights reserved, Inc.